Paola Morsiani,to take over as director of major college museum. Purchase College President Thomas J. Schwarz announced today that Paola Morsiani, Curator of Contemporary Art at the Cleveland Museum of Art, will become the seventh director of the Neuberger Museum of Art of Purchase College, effective July 1, 2012. As director, she will oversee an institution that has achieved international stature for its outstanding collection of modern, contemporary and African art, as well as its innovative exhibitions presenting established modern masters and cutting-edge contemporary artists. She replaces Thom Collins, who became director of the Miami Art Museum. The new director will be responsible for overseeing all operations and decisions at the Museum including collections, acquisitions and exhibitions, and working with the Friends of the Neuberger Museum of Art donors, and the community-at-large. President Schwarz said that Ms. Morsiani will work actively with the Purchase College academic leadership to incorporate the resources of the Neuberger into the educational experiences of students at the College. She will have responsibility for the highly respected educational programs provided by the Neuberger for the students at Purchase College, the public, and the more than 20,000 students from area schools who annually participate in its programs. A native of Venice, Italy, Ms. Morsiani received her Laurea in art history and history of criticism from the University of Padua in Italy, and an MA in Arts Administration from New York University. During her tenure at the Cleveland Museum of Art, she made a number of significant collection acquisitions, reinstalled the contemporary art collection galleries in the museum’s East Wing, which opened to the public in June 2009, and curated the first solo museum exhibition in the United States of the work of Korean artist Kim Beom. Prior to joining the Cleveland Museum in 2008, she was Senior Curator at the Contemporary Arts Museum Houston, where she curated a number of acclaimed exhibitions and contributed critical essays to numerous catalogues, publications, and journals. Earlier in her career, Ms. Morsiani worked in the curatorial departments of various American museums and independently curated shows for PS122 Gallery, New York; and Art & Idea, Mexico City, among others. Paola Morsiani received her Laurea in art history and history of criticism from the University of Padua in Italy, and an MA in Arts Administration from New York University. In 2008, she participated in the Center for Curatorial Leadership fellowship and studied at Columbia University’s Executive Education Program. Early in her career, she worked in curatorial departments at the Drawing Center, New York; Queens Museum, New York; and at the Carnegie Museum of Art, Pittsburgh, Pennsylvania. 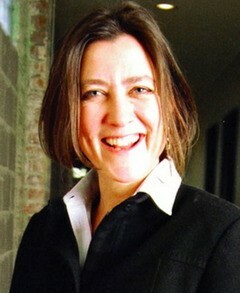 As Senior Curator at the Contemporary Arts Museum Houston, she curated a number of acclaimed exhibitions, including Andrea Zittel: Critical Space (2005, co-organized with Trevor Smith and the New Museum of Contemporary Art, New York), Fade In: New Film and Video (2004), When 1 is 2: The Art of Alighiero e Boetti (2002), and Subject Plural: Crowds in Contemporary Art (2001). At the Contemporary Arts Museum Houston, she also curated several project-room sized exhibitions, with artists Adrian Paci (2005), Abraham Cruzvillegas (2003), Amy Adler, Liza May Post, Francesca Woodman (2001), and Dario Robleto. A catalogue accompanied each exhibition, with essays by Ms. Morsiani and other writers. Contemporary Artists Lecture Series (2011: Ann Hamilton; Raqs Media Collective); and directed and expanded the Contemporary Art Society, a 120 members affiliate group, among many other duties. Awards: Best Design and Architecture Exhibition, 2005–2006 Award, International Association of Art Critics/USA for Andrea Zittel: Critical Space; Cavaliere, Ordine della Stella della Solidarietà Italiana, since 2005. Founded 37 years ago as a cultural and intellectual center for modern and contemporary art, the museum’s core collection of 20th century paintings and sculpture contains primary examples of the movements and individuals who shaped modern art. The tenth largest college art museum in the nation with an internationally renowned collection of over 8,000 works of art in all media, the Museum is named after financier and founding patron Roy R. Neuberger, whose extensive art collection forms the core of the Museum’s holdings. Mr. Neuberger was one of America’s foremost art patrons and philanthropists. He had long supported emerging artists, encouraged a trend of corporate collecting, and donated important works to and financially supported dozens of art institutions.